Park Royal Hospital provides life-changing care to adults and seniors who have difficulty coping with life's challenges. 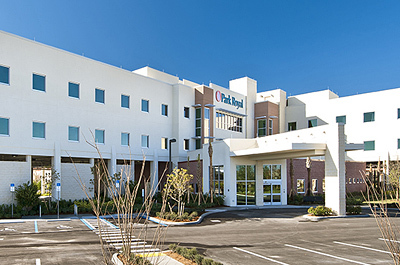 As one of the newest freestanding behavioral health facilities in the United States, Park Royal offers a full continuum of care from inpatient to intensive outpatient programs which includes an ECT Lab. Park Royal Hospital provides advanced behavioral health treatment services on both an inpatient and an outpatient basis, treating adult and geriatric patients for depression, anxiety and mood disorders, memory issues, post-traumatic stress disorders and co-occurring mental health and substance abuse issues. The hospital offers crisis intervention services and is licensed as an involuntary commitment facility. Any concerned person, including family members, friends or companions, physicians or social workers, can make a referral. Admissions are made 24 hours a day, seven days a week. Park Royal Hospital's team members work together to assess, design and implement a comprehensive, individualized treatment plan for each patient, respecting his or her unique situation and incorporating family and support systems as appropriate.